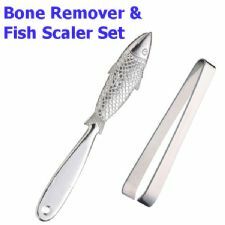 Bone Remover: Stylish, flat sided, stainless steel, odour resistant pincer tongs for practical and easy removal of fish bones. 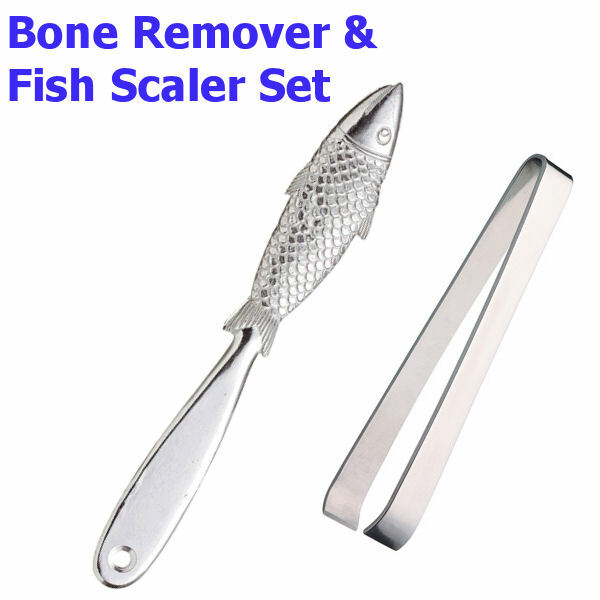 Fish De-scaler: Fish patterned, easy to use scaler, featuring raised sections to easily remove fish scales before cooking. Make cooking fish easy for yourself with this very practical combination set which makes what can be a fiddly and messy job that much easier! Full laminated instructions come with the kit to assist the novice.